High quality Sencha tea bags for cold brewing. 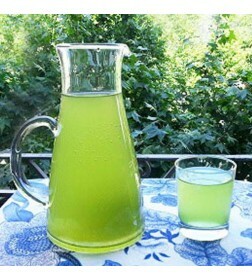 In case of cold brewing, caffein is not extracted so you can enjoy the smooth and mellow taste of green tea without any bitter notes. It is the perfect refreshing drink for a hot and humid summer days. 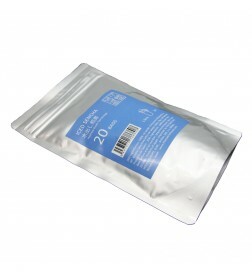 20 teabags of 5g triangle shaped teabag for 1 to 2 litro pitcher are packed in an aluminium zipper pouch. Direct from Matcha factory in Nishio, Japan. Powdered roasted green tea for blending and cooking. Gives beautiful brown color and delicious aroma of roasting. Ideal for cooking of ice-creams and pastries. This product is made for those who want to enjoy new green tea flavour other than Matcha in their cuisine. Actually this product is used by pastry chefs, restaurants and ice-cream makers. Powdered black tea for blending and cooking. Darjeeling tea is a type of tea grown in the Darjeeling district in West Bengal in India. It is also called “The Champagne of teas”, and has a floral aroma and sweet flavour with a musky spiciness, which is sometimes described as “muscatel”. Darjeeling Black Tea Powder is the Darjeeling tea cultivated and produced in India produced without dyes nor preservatives and grained in our factory in Japan. It is easy to mix and ideal to prepare wide variety of foods, like cakes, cookies, icecreams, chocolates, etc.